Stay with us at the Country Inn & Suites® by Radisson, Abingdon, VA to experience a unique taste of small-town life in the foothills of the Appalachian Mountains. Boasting quaint brick sidewalks and a vibrant fine arts and crafts scene, Abingdon is a popular spot for travelers and hikers who are entering or exiting the Appalachian Trail. 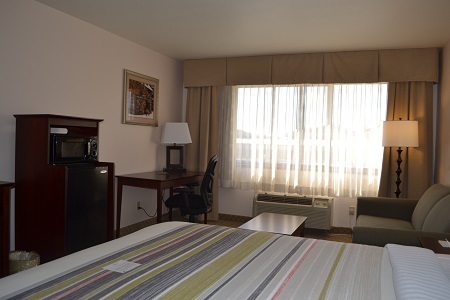 Located right off I-81 at exit 19, the hotel’s location is just one mile from the Virginia Creeper Trail and about 30 minutes from the exciting Bristol Motor Speedway. 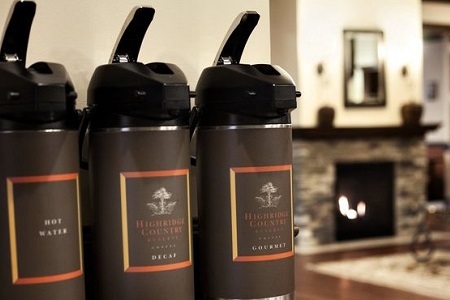 Learn more about our hotel's amenities and services. Start your morning with us at our free, hot breakfast, which boasts delicious and varied items like bagels, pastries, eggs and cereal. 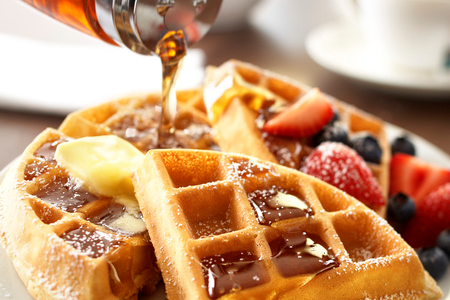 Indulge in a fluffy waffle with butter and syrup or opt for lighter options like fresh fruit and yogurt. For lunch or dinner, try one of the many nearby restaurants like The Tavern or BoneFire Smokehouse. Barter Theatre – See a performance at this historic theater that helped launch the careers of great actors like Ernest Borgnine and Gregory Peck. Just two miles away, the venue is one of the longest-running professional theaters in the country. Moonlite Drive-In Theatre – If you're visiting between April and October, treat your whole family to an outing at the retro Moonlite Drive-In Theatre, seven miles away. In operation since 1948, the drive-in is one of the last theaters to provide audio using traditional pole speakers. Bristol Caverns – Prepare to marvel at the colorful stalactites and stalagmites as you wander through the depths of this fun attraction. Well-lit paved walkways lead you through vaulted chambers and past ancient underground streams. Read more about our hotel's location.